Disclaimer: I was given the opportunity to experience Extreme Escape, with three friends, at no cost. However, all opinions expressed here are my own. Looking for some out-of-the-box fun? Look no further! 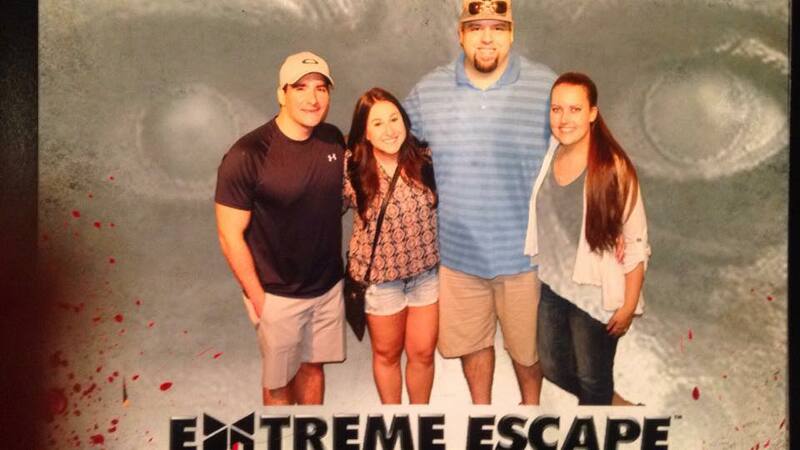 Extreme Escape just opened in Northwest San Antonio. Picture it, you walk into the room, the door shuts and a voice comes on the TV screen above. The mystery voice gives your group one clue before the clock starts ticking down. If you don't make it out of the room before one hour you become the undead. Extreme Escape offers four rooms to choose from, each with a different theme. Since my husband is a Walking Dead fan I picked the Undead Room. The theme of the Undead Room is that you and your team are trying to survive the zombie apocalypse. You hear of a doctor that may have an antidote that could stop the infection and save humanity. The room is set as the bunker where the doctor was last located. You must get in, secure the location and find the antidote. My friends and I had a blast! We made it out of the room with 22 minutes to spare, phew! We all worked together to find and solve the clues. The first few minutes were kinda hectic. We didn't know what to focus on or what to do. Once the first clue was found we moved quickly and got it done. I would definitely try another escape room at Extreme Escape. I have my eye on the Master of Illusion room.